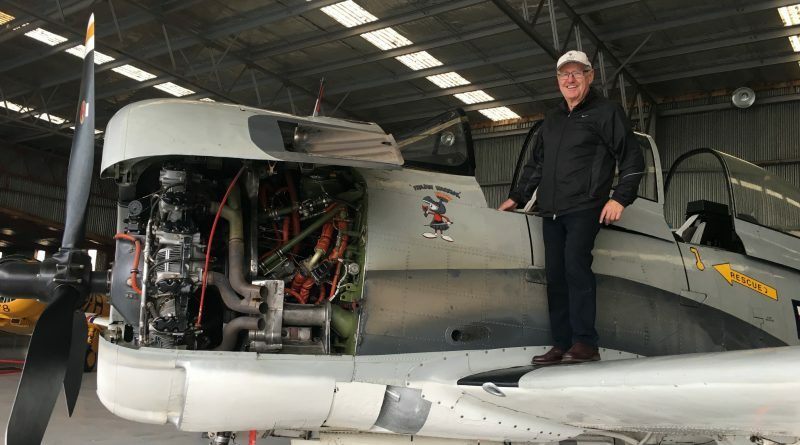 Wanaka: Peter Vause says he should have learnt his lesson the last time he was invited by Brett Emeny to go up for a ride in a Warbird aircraft. The first time was back in 2004 when Brett suggested Peter join him in his Yak-52. Peter loved the aircraft so much he immediately went out and bought one. Fast forward 14 years and it’s happened again. 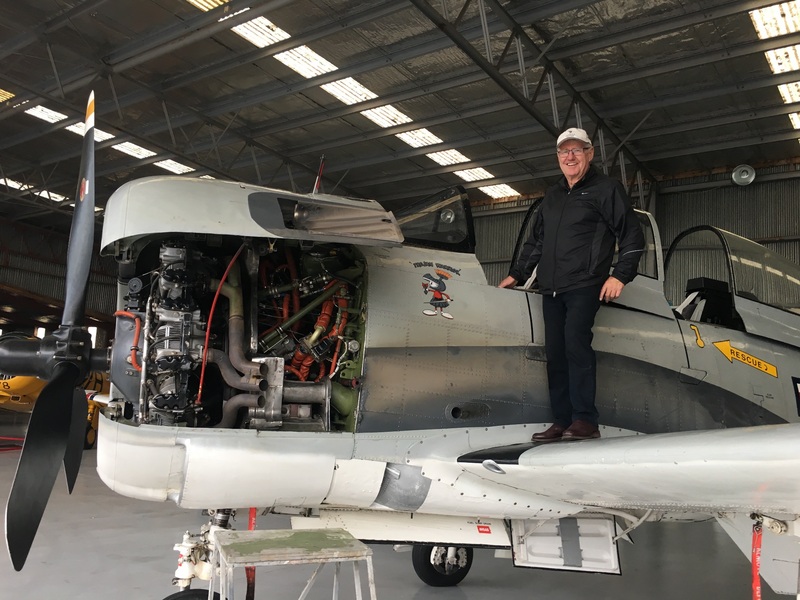 This time Brett took Peter up in his North American T-28C Trojan and now a few months later Peter is the proud owner of his own Trojan, a T-28B, which has just arrived at his base in New Plymouth. 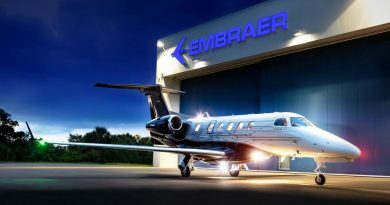 “It’s such a great aircraft to fly and you get a lot of aircraft for your dollar. They are big and noisy. When you’re in the cockpit you’re sitting eight feet off the deck. After that first flight I knew I had to have one and started looking around,” says Peter. A short time later Peter heard that Australian Warbird enthusiasts Mike and Andrew Kennedy from Gunnedah in rural New South Wales were looking to part with their T-28. “I went over to check it out and was impressed with what I saw, especially the interior which is in fantastic condition. The real clincher for me was when I met engineer Cameron Rolph-Smith who has maintained the aircraft for a number of years. I asked him how I could best get it to New Zealand and he immediately offered to fly it over himself. That did it for me. 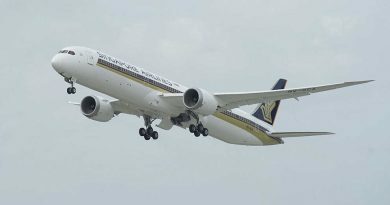 If the engineer has that much faith in an aircraft then it must be a good one,” says Peter. Cameron flew the aircraft to Auckland via Lord Howe Island, Norfolk Island and Kerikeri. The only drama came at Norfolk when his co-pilot/navigator for the trip realised he had forgotten his passport and had to return to Australia while Cameron flew on to NZ alone. Peter is absolutely rapt now the aircraft is finally at its new home in New Plymouth parked up alongside Brett Emeny’s Trojan which coincidently is painted in exactly the same US Navy colour scheme. The easiest way to tell them apart will be their numbers – Peter’s is 973 while Brett’s is 563. “I love flying at Wanaka and have wonderful memories of some great displays over the years including being part of the Jet Racing in 2014 and being a member of the world-first Yak-52 9-ship loop in 2016. 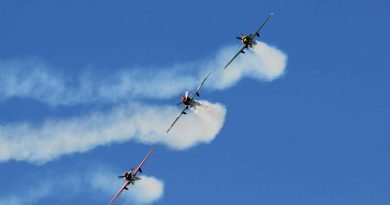 Hopefully we’ll be able to show off the two Trojans displaying together at Wanaka in 2020,” says Peter. The arrival of Peter’s Trojan brings to three the number of T-28s in New Zealand. The third is owned by Brian Hall from Christchurch. The T-28 Trojan was produced during the 1950s and was first used as a military trainer aircraft by the United States Air Force and United States Navy. During the 1960s the T-28 was successfully employed as a counter-insurgency aircraft, primarily during the Vietnam War. The first version, the T-28A, was fitted with an 800hp Wright R-1300-7 radial engine. The lack of power was sorted out when the T-28B version came out with the R-1820-9 generating 1425hp. The next version, the T-28C, was also fitted with shortened propeller blades and a tailhook for carrier landing training. The next Warbirds Over Wanaka International Airshow is being held at Easter 2020 (April 10th, 11th and 12th).